Earthling confronts our deepest fears in clear and haunting language, from "a poet of extraordinary gifts" (American Academy of Arts and Letters). "Earthling" is one of the oldest words in the English language, our original word for ploughman, a keeper of the earth. In poems simultaneously ordinary and otherworldly, James Longenbach traces the life of a modern-day earthling as he looks squarely at his little patch of earth and at the vast emptiness of interstellar space. 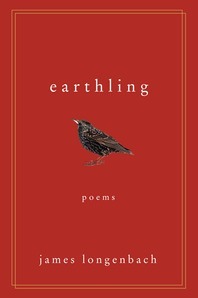 Beginning with the death of the earthling’s mother and ending with a confrontation with his own mortality, the poems within Earthling resist complaint or agitation. In them, the real and the imagined, the material and the allegorical, intersect at shifting angles and provide fresh perspectives and lasting consolation.